Recently updated one of my favorite session beers, all grain recipe. Sprung a leak wheat ! Recently working a nice light wheat beer for spring. Nice...until my mash efficiency was off by a too high temperature, 170 degrees, work it down by adding in cooler water, but over-all effect was noticeable. I increase the fermentables by working in some honey and brown sugar, thinking I'd recovered from the problem, i move on to cooling the wort. Steam that is vented out of the kitchen via the Microwave.....hmmm....kid needs hotdog, ever see a Microwave catch fire ? Now my "Sprung a leak Wheat" has ruined a $250 microwave. Finally I have the beer at an acceptable volume, though it is still weak. Tasting the flat beer at bottling time reveals a definetly light taste, my first 3.2 beer! On the bright side, the wife finally relents on the budget and purchases the outdoor beer making equipment ($300), as the cost of replacing the microwave on regular basis is not cost-effective ! Oh yeah, i'll update on the finished product, i'm hoping with carbonation the beer will be tasty. Finally got around to tasting the Heather Ale, it's a fine line between Braggot and Ale, but after tasting this, it is definetly an Ale. The beer is definetly unique. It pours nicely, quickly developing a very thick creamy head. First impression is the nose, wow, the combination of Heather and some of the "bee items" (propolis and pollen) creates a cross of freshly crushed pine needles. 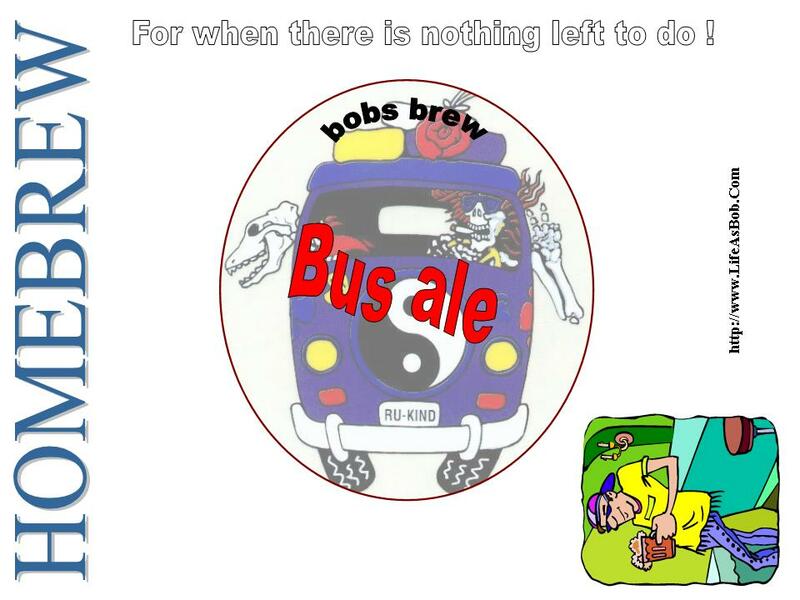 The beer takes a bit too drink, it is not a light beer and has some attitude. One or two bottles of this and things can look right with the world. I'm quite pleased with the balance and flavors of the beer, which is always a challenge with "big" alcohol heavy beers. Definetly the dominating profile is the nose from the heather and "bee items". I want to brew this again, but will definetly cut back on the Bee Pollen and Propolis to 1 or 2 ounces from 8. Also the Heather Honey from Scotland costs a fortune ($80 for 1/2 gallon), so I'm going to have to find a reasonable subsititute. 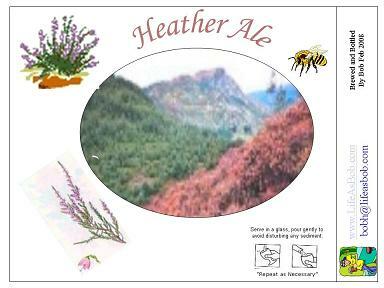 Though in my mind the comination of the Heather Honey and Heather tips is what makes this "Heather Ale". I may try a substitute and compare them. I currently have a 1/2 gallon of Meadow Foam Honey, which is also some expensive and rare stuff, wonder how it will brew up...Link to original post on creating Heather Ale. 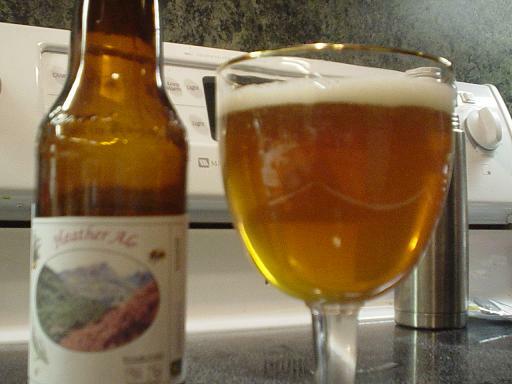 The beer has only been aged 6 months in the bottle (feb 08), having been brewed in Nov 07. 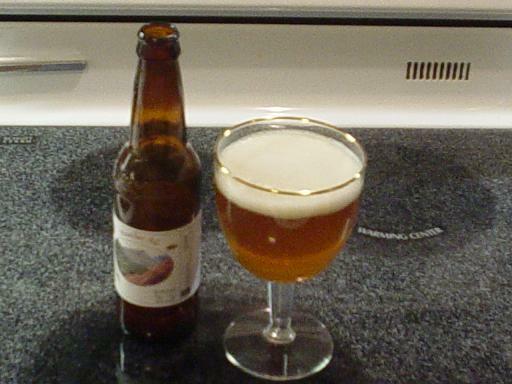 These honey based ales (braggot), take several months to brew and can easily improve with age. It'll be interesting to taste over the next year. Prepared my first wine today, Green Apple Riesling from Wine Experts, supposed to be light and sweet. It was very easy, hoping for this to be ready for the wife this spring. Racked into secondary. 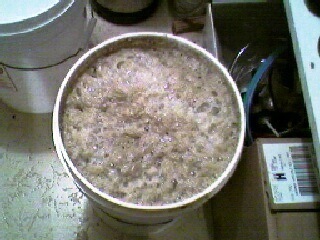 Fermentation was nice steady bubbling. Little bit cloudy. Bottled. Very clear, tasty - though I'm not a wine fan; bottling wand gave me a hard time blowing the tip off, ended up filling bottles via gravity drop on/off valve from bottling bucket, PIA. Bottled in 750ml and 12 Oz beer bottles to allow enjoyment on a smaller scale.